FRAMINGHAM – Mike Foley has been coaching swimming for 20 years, and in his first year of eligibility he was selected to be inducted into the Massachusetts High School Swimming Coaches Hall of Fame. Foley has the most dual swim meet wins by a Massachusetts High School swimming coach at 636 wins. For the past two decades he has been the Wayland High boys & girls swim coach in the winter season, and for the last 18 years he has been the Framingham High girls swim & dive coach in the fall season. In Wayland, he has an amazing record of 499 wins and just 89 losses in 20 years. In Framingham, his record is just as impressive at 135-23-1. 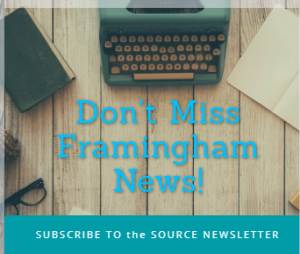 Editor’s Note: In full transparency, my daughter swam for Foley as a Framingham swimmer the last four season, and was one of the five senior captains this past season. In Wayland, Foley has won 14 state swim titles – 9 with the girls and 5 with the boys. In 2009, 2010 and in 2019, he won both girls and boys titles in the state. His team was the first ever to win both in the same season. His record in Framingham with the Flyers is good too. Foley started coaching the Flyers in 2003. That year, the Flyers finished second in the Conference meet. The next year, the team won the Bay State Conference meet and continued to win it for 13 consecutive seasons. A remarkable record 13 Conference titles in a row and 13 titles in 14 seasons. The Flyers last won the Conference title in 2016. 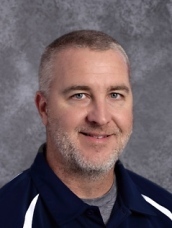 Foley, who is the department head for physical education, wellness and health at Framingham High School, has been the Boston Globe coach of the year 8 times. Foley has received the National Federation of High School Sports Zone One Swimming Coach of the Year award. And Foley has received the MIAA Massachusetts High School Swimming Coach of the Year award. The hall of fame ceremony is scheduled for Sunday April 7 at the Natick Elks Club during the EMASS Interscholastic Swimming Coaches Association’s Awards Banquet. Foley lives in Ashland with his wife and sons.